Sephora has awesome deluxe samples with orders all the time! Here is another good one that we spotted! 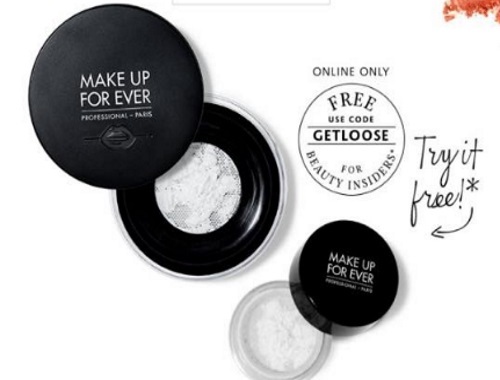 Get a Free Make Up For Ever Ultra HD Microfinishing Loose Powder deluxe sample with any $25 order online. Enter the promo code GETLOOSE at checkout. Offer is available for a limited time while quantities last.